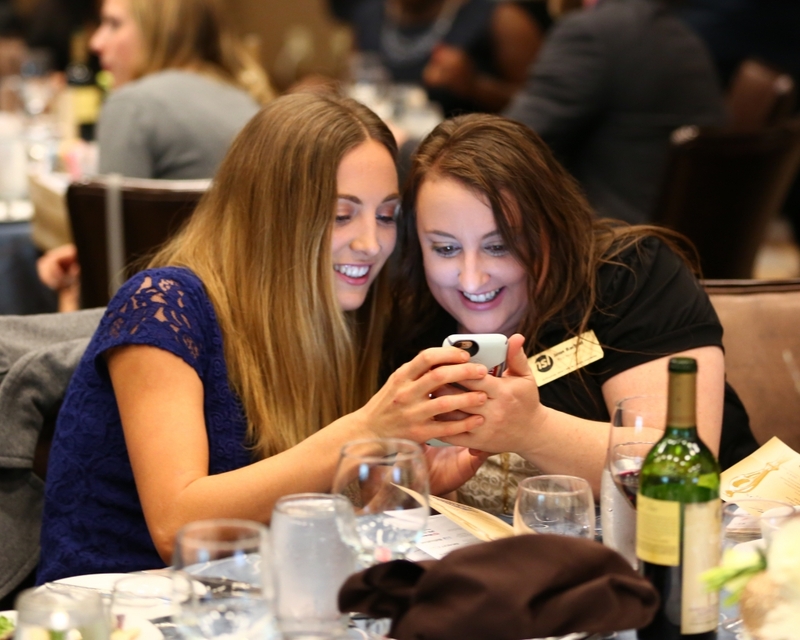 Every year we honor businesses and professionals that stand out above the rest. 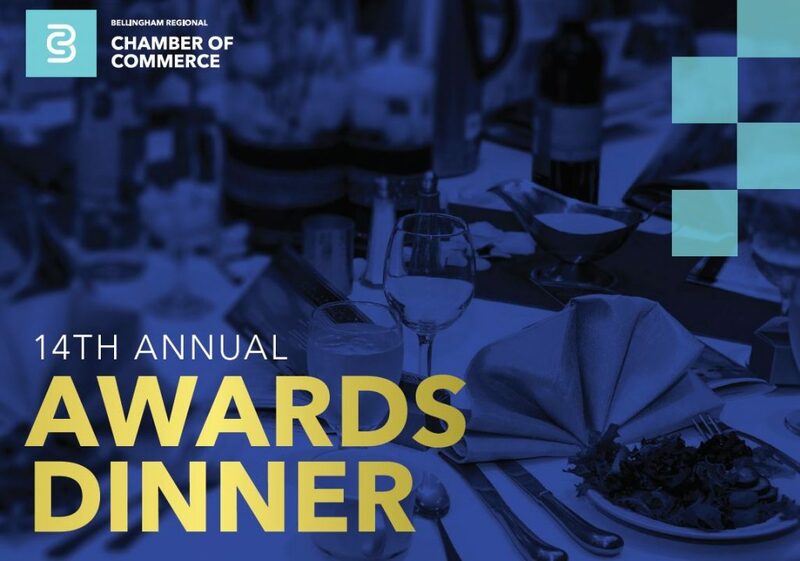 On Thursday, December 6, we will celebrate the successes of our member businesses and highlight their contributions to the community. 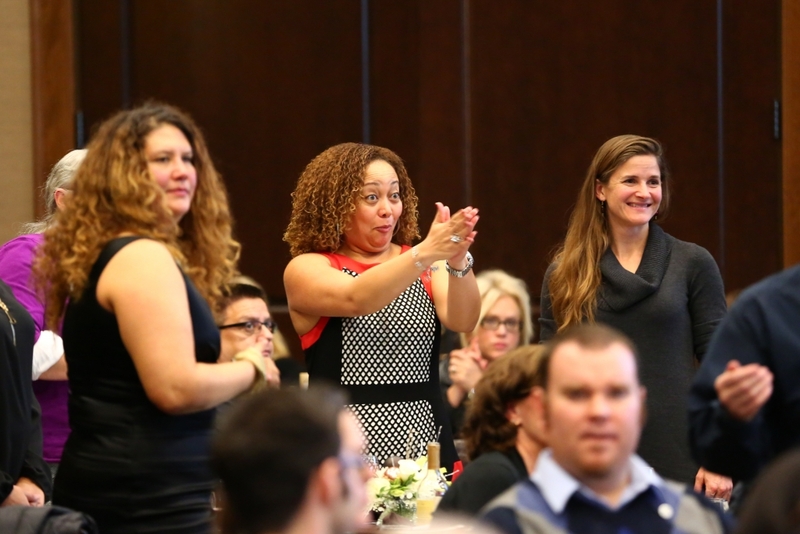 This celebration is for you, our members! 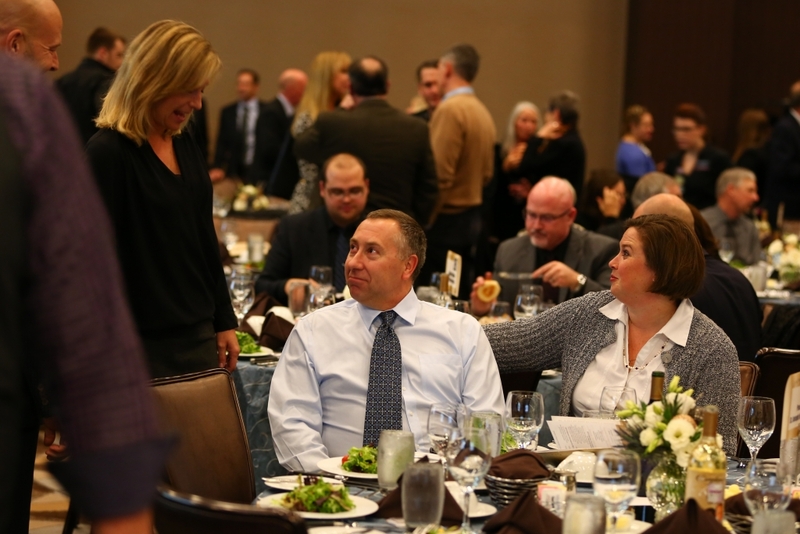 On Thursday, December 6 the Annual Awards Dinner was held at the Four Points Sheraton in Bellingham. 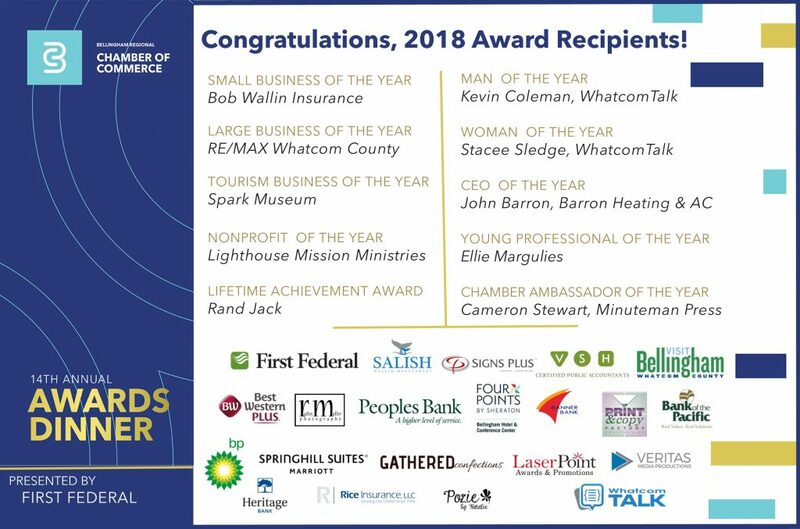 We awarded the Large Business of the Year, the Small Business of the Year, Tourism Business and Nonprofit Organization of the Year in addition to the Woman of the Year, Man of the Year, Lifetime Achievement Award, CEO of the Year, Chamber Ambassador of the Year and the Young Professional of the Year. 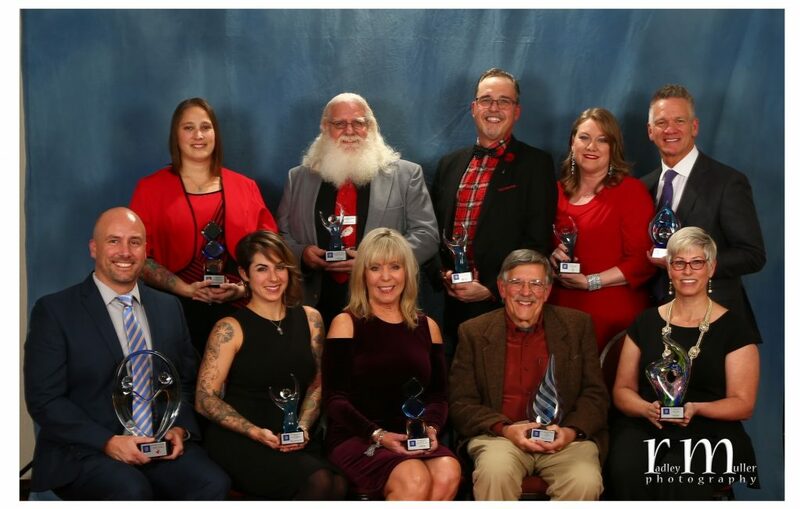 Appearing in the photo starting from the bottom left – Hans Erchinger-Davis of Lighthouse Mission Ministries; Ellie Margulies, Flex Movement Lab; Lori Reece, RE/MAX Whatcom County; Rand Jack, Whatcom Land Trust; Wendy Eickmeyer, Spark Museum; Sue DeLeon, Bob Wallin Insurance; Cameron Stewart, Minuteman Press; Kevin Coleman, WhatcomTalk; Stacee Sledge, WhatcomTalk; John Barron, Barron Heating & Air Conditioning. It’ll be a night to remember! Click here to RSVP! 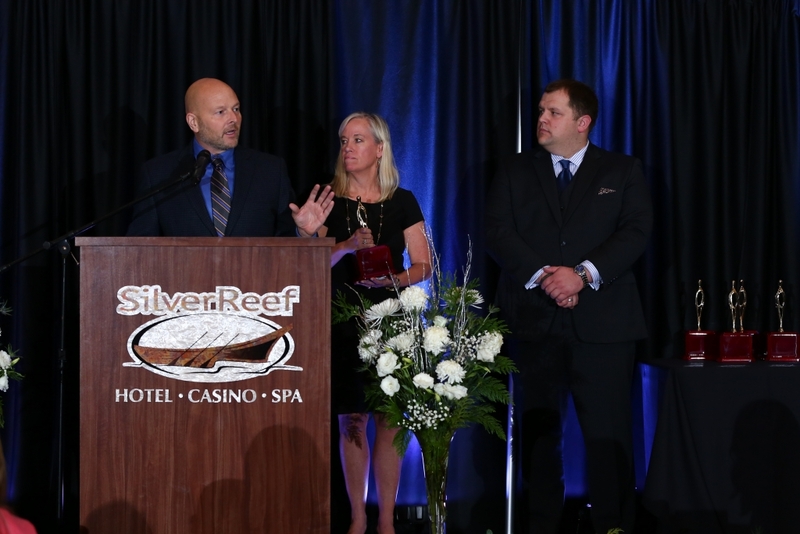 2015 CEO of the Year – Mike Hammes of RAM Construction. 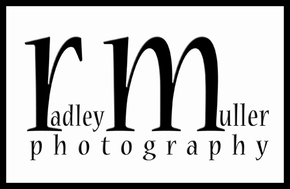 Photo by Radley Muller photography. Reserve your seat or table today! $800 Table Sponsors (8 per table) Available to members only.